I have joined some amazing authors in these fantastic giveaways! Check them out! From September 1st to September 30th, FREE Fantasy books are available for download. Simply follow the link, pursue the covers and blurbs, select your favorites, and claim your copy immediately! Best part is, you can claim as many as you wish, all for FREE! Download over 200 #Free books from #instafreebie today! #romance #horror #mystery We have a little of everything! Listen to The Swords of an Angel playlist here. JOIN the book launch campaign here. Ask me for an ARC copy to review here. 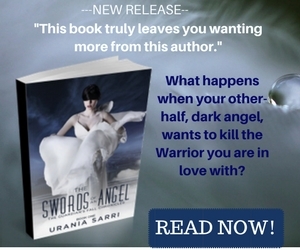 My new release is a short story and the Prequel of The Swords of an Angel, my upcoming paranormal romance. You can find it on AMAZON and SMASHWORDS. If you are one of my newsletter subscribers you will get it for FREE with my newsletter (which is on the way). If you haven’t joined my mail list, you can still do it HERE! I would really appreciate it if you could show me some love by submitting your honest review. 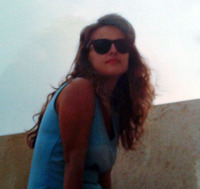 Urania Sarri lives in Korinthia, Greece with her husband and sons. She holds a BA in English Language and Literature, an Msc in Teaching English to speakers of other languages (TESOL) and a PhD in Languages and Social Sciences. She specializes in teaching English to children and young adults and she totally adores her job. While doing so, she takes any opportunity to convey to her students the passion of reading. She is fascinated by paranormal stories and appreciates good romance whenever she gets her hands on it!